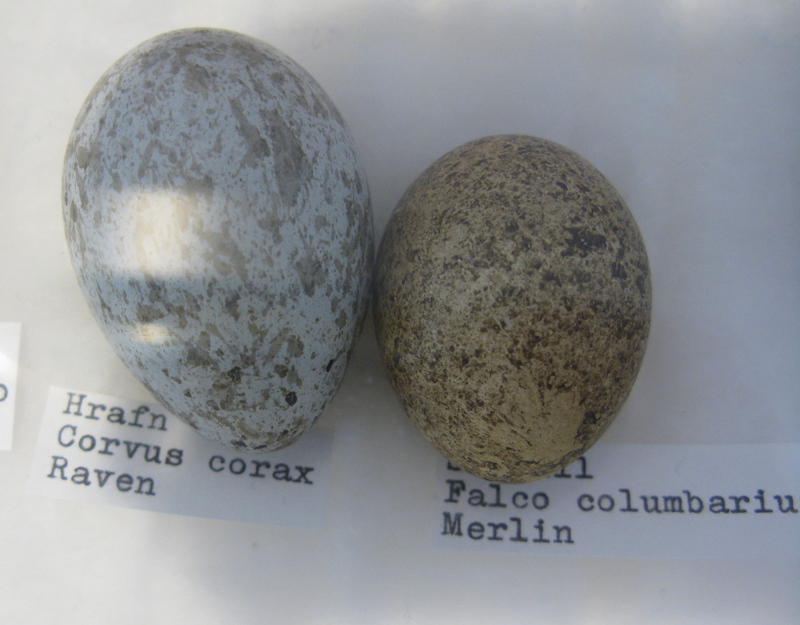 Hrafn and smyrill eggs. We saw several ravens, most notably two sporting above the cliffs at Vik i Myrdal. Perhaps they were Huginn and Muninn, Odin’s raven familiars, who served as his aides, Thought and Memory. We never saw a merlin, although others in our group did. The eggs above were from one of two displays of the island’s eggs, from the enormous whooper swan’s to the tiny wren’s, that both proved rather a challenge to photograph. 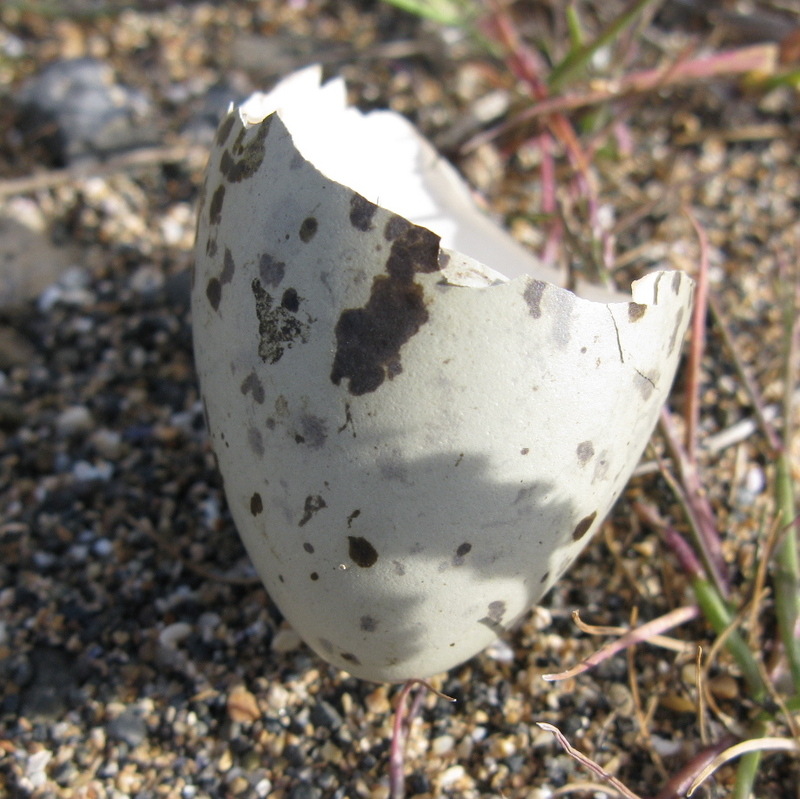 This whimbrel egg fragment was found at Gardar, the same place as the young whimbrel we saw.